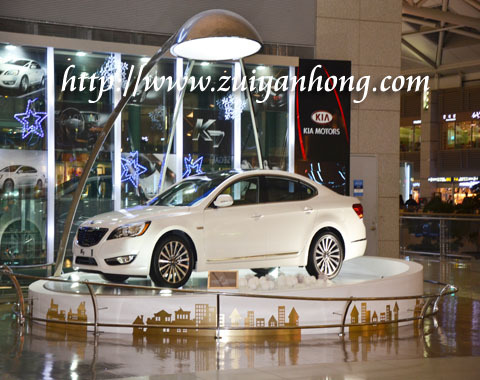 This was a new Kia luxury sedan K7 which was displayed at South Korea Incheon International Airport departure level. The name of this luxury car is Cadenza. Kia automobile is one of South Korea manufactured vehicles. Kia Motor Company and Hyundai Motor Company are both renowned South Korea automobile manufacturers. 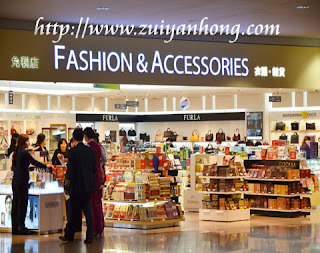 Incheon International Airport duty free shops are gorgeous with dazzling light. There are a variety of items sold in these shops. The beautiful salesgirls will always greet you with smiling faces. Before boarding, remember to drop in the duty free shops. May be there are gifts or food you like. If the price is reasonable, why not buy some to reward yourself or give them to your friends and relatives.